Although Art Deco reached its apex of influence during the Interwar period, its rich colours, bold geometries and lavish materials (such as sterling silver and ebony) have never really disappeared from fashion. It is, essentially, timeless. But every once and a while, our collective fascination with the movement’s decor and architecture reaches a new fever pitch. Like right now. The resurgence is the direct result of Baz Luhrmann’s blockbuster adaption of F. Scott Fitzgerald’s Great Gatsby (the sixth such adaption of the 1925 novel, which comes out this Friday). Suddenly, everyone wants an air of the Jazz Age, in their clothes (think shimmering flapper skirts) and in their decor. Fortunately, contemporary furniture makers are crafting the kind of deco-inspired pieces that capture the essence of the era but with a fresh sensibility. These updates have the sensual lines and strong presence of Deco, but with modern touches like LED lights and laptop-ready work surfaces. Here, five of-the-moment ways to add some Roaring Twenties glamour to your home. The opulent furniture of English aristocrat Lady Edwina Mountbatten (who was well know for her social life in the 1920s and ’30s) inspired Toronto designer Colleen McGill to make the Hicks coffee table. 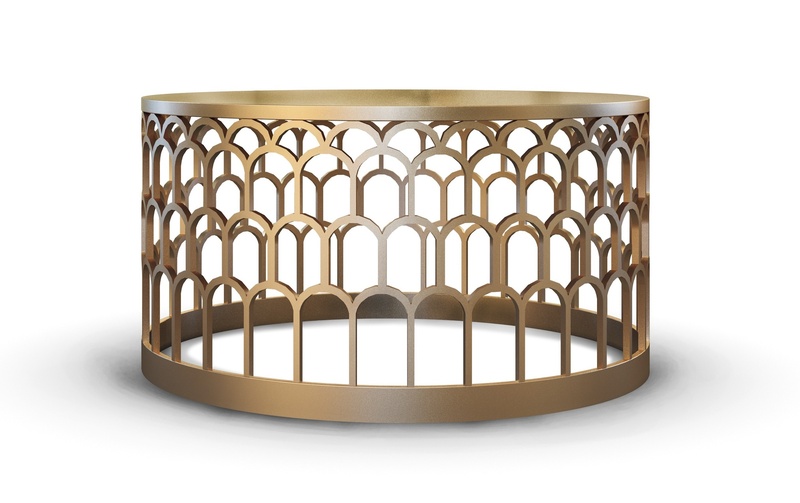 McGill updated the Deco-esque fan pattern by cutting it into a modern drum-shaped base. Through myplumdesign.com. 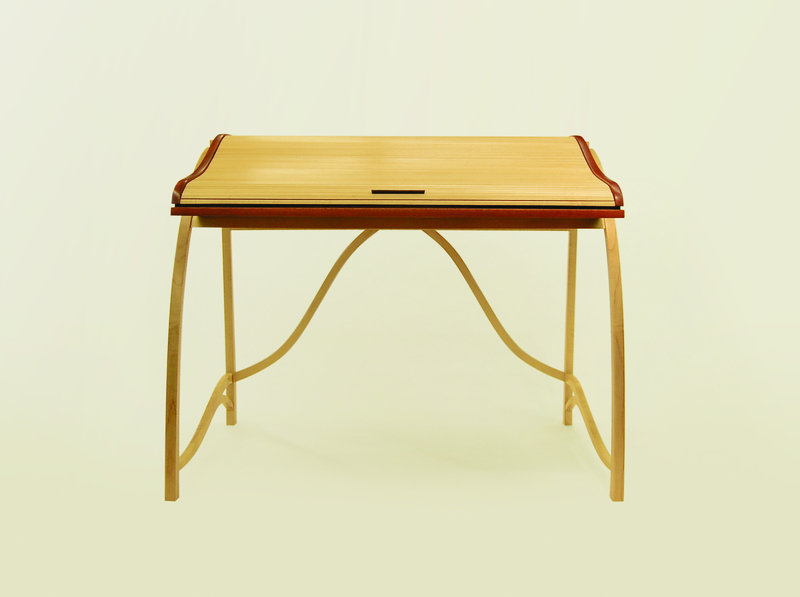 The Roll Top desk by Toronto furniture maker Reed Hansuld is handcrafted from sumptuous woods: Makassar ebony, mahogany and quilted English sycamore. Although its gently curving lines have a nostalgic feel, the work surface is proportioned specifically to accommodate laptops and tablets. Through reedhansuld.com. The Salute Table, by up-and-coming, Munich-based designer Sebastian Herkner, is meant to act like a ’20s-era butler. 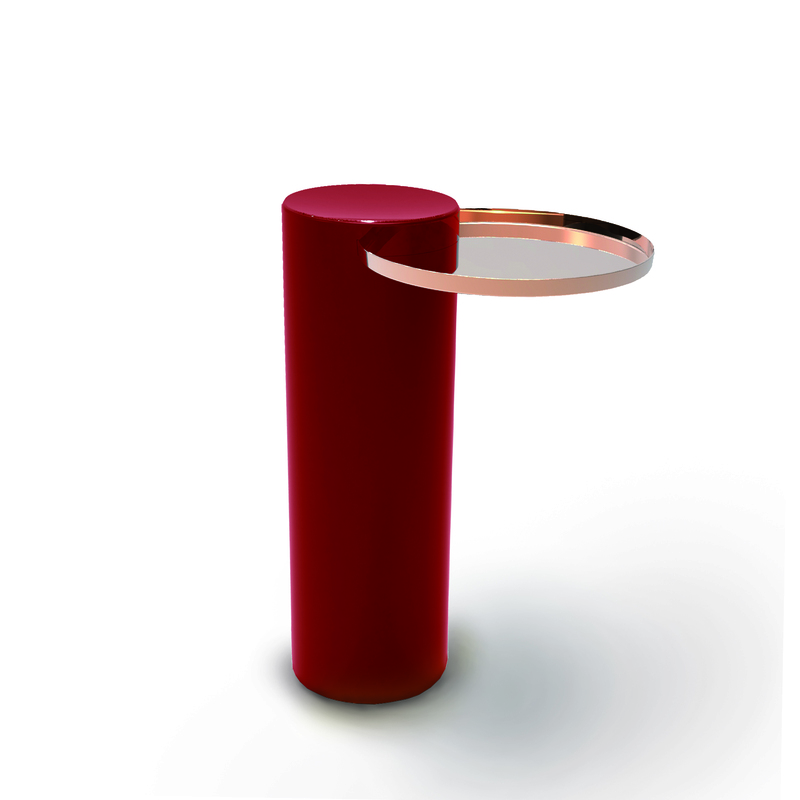 When the handsome, painted steel column is placed near a lounger or arm chair, its elegant brass tray extends to hold your book, cocktail or iPad. 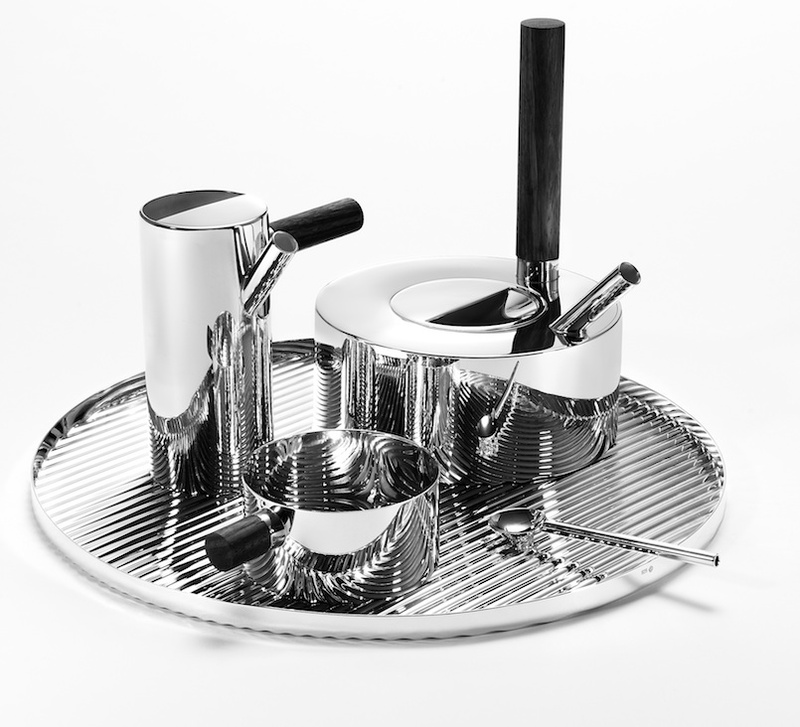 For extra opulence, the cylinder also comes in a black marble and the tray in chrome. Through lachance.fr. 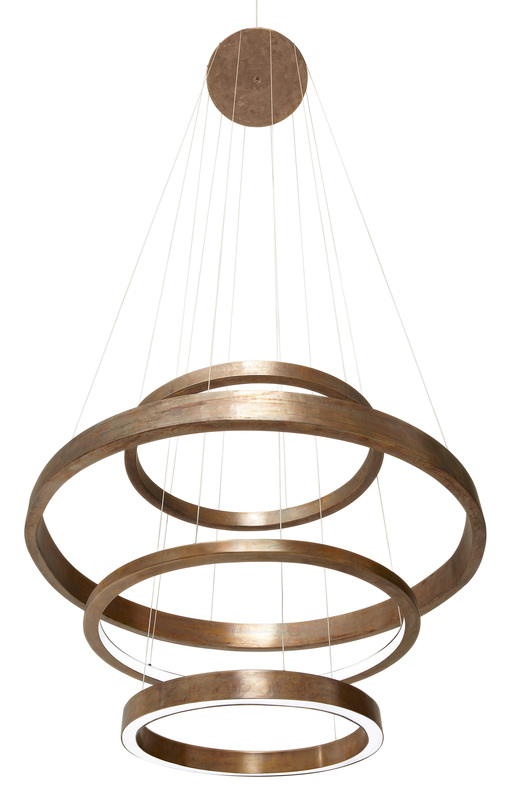 Because of the the hand-burnished brass rings, Italian architect Massimo Castagna’s Light Ring chandelier has an antique essence, The warm glow of the sleek, energy saving LED light strip brings the fixture straight into the 21st century. Through henge07.com. In the early 20th century, Wiener Silber Manufactur was one of Austria’s top silver manufacturers. In 2009, the company re-launched, hoping to blend its deep traditions with a contemporary aesthetic. Its Tea Set, designed by Spaniard Tomas Alonso, does just that: The Zebra wood handles have a jazz age opulence, the geometry has a paired-down simplicity. Through wienersilbermanufactur.com. This piece originally appeared in the Globe and Mail on Thursday, May 9, 2013. This entry was posted in Design Spy and tagged Art Deco, Baz Luhrmann, Chandelier, Colleen McGill, Decor, Decorating, Design, Furniture, Great Gatsby, Home Decor, Lighting, Reed Hansuld, Sebastian Herkner, The Globe and Mail, Tomas Alonso by mmhague. Bookmark the permalink.